Welcome to the series launch of J.A. Marx‘s Destiny series. Book one, Destiny Defied, is a chilling tale of freedom from oppression and the Light that overcomes the dark. J.A. 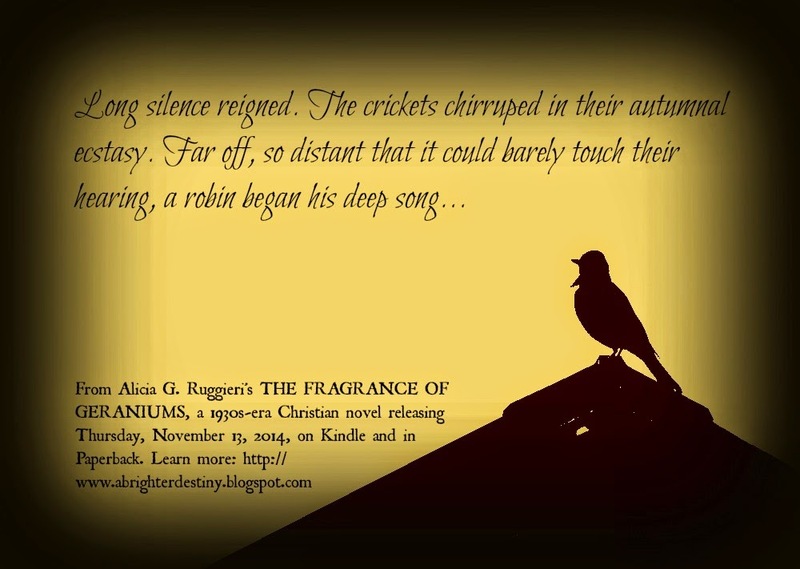 is celebrating the launch of her series with a Kindle giveaway and a Facebook author chat party on December 2. Destiny Defied by J.A. Marx. Enter today by clicking the icon below. But hurry, the giveaway ends on 12/2. Winner will be announced at the Destiny Defied Facebook author chat party on December 2nd. 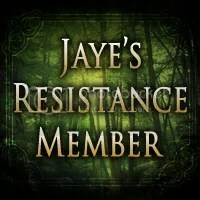 RSVP for a chance to connect with J.A. Marx, to chat about the book, as well as to win some great prizes! RSVP today and spread the word—tell your friends about the giveaway via FACEBOOK, TWITTER or PINTEREST and increase your chances of winning. Hope to see you on the 2nd! Hello! 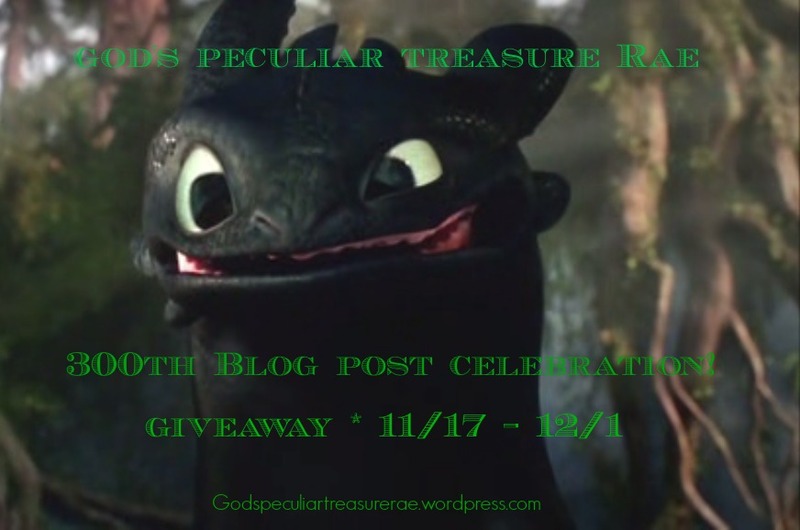 And thanks for stopping by to read this 300th post! I know, seems kind of crazy. I am blessed to have made it to so many posts – truly. I’ve greatly enjoyed this blogging journey, with its ups and downs, and posting and not posting. 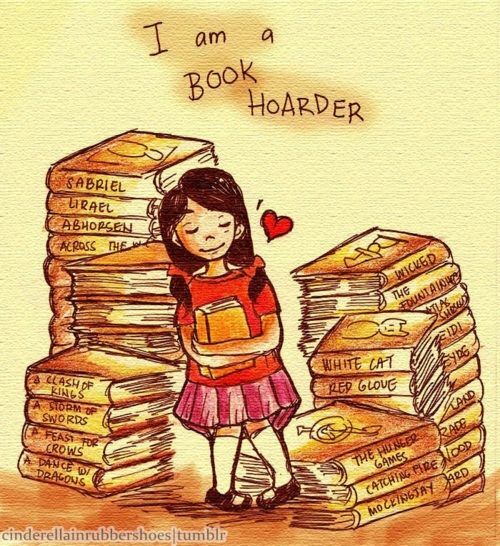 ^.^ And I am even more blessed to have YOU as my readers. So, thank you!!! 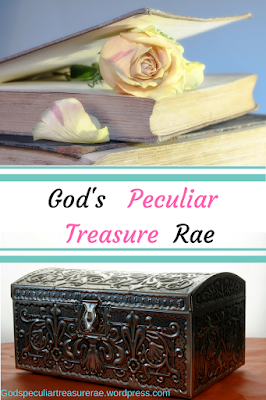 Without further ado, I present to you, God’s Peculiar Treasure Rae’s first give-away!! That’s all! Simple, like I said. Unfortunately, I can only offer this to those in the U.S.A. because funds are tight – I apologize greatly for my international readers; I am still so appreciative of you!! 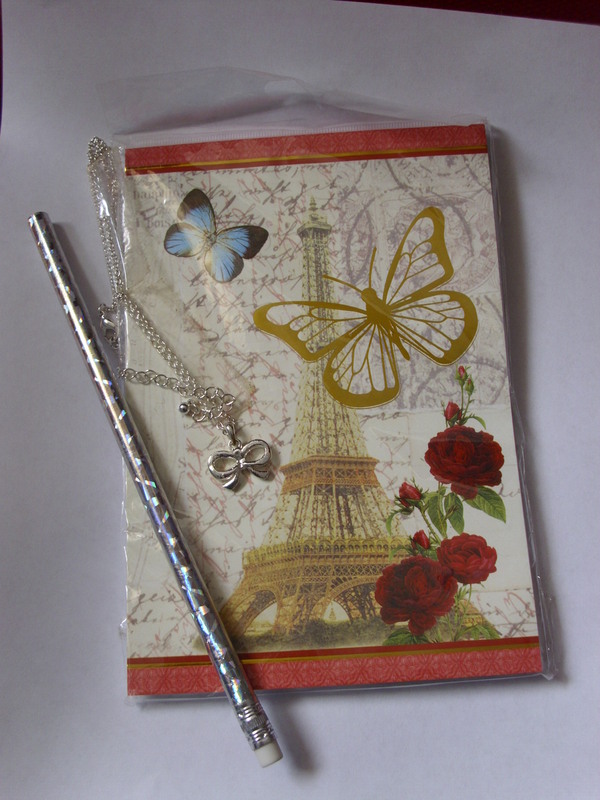 This give-away will run from now (November 17th) till December 1st (a Monday). I will pick the winner on the 1st, posting the winner’s name, as well as emailing them directly. 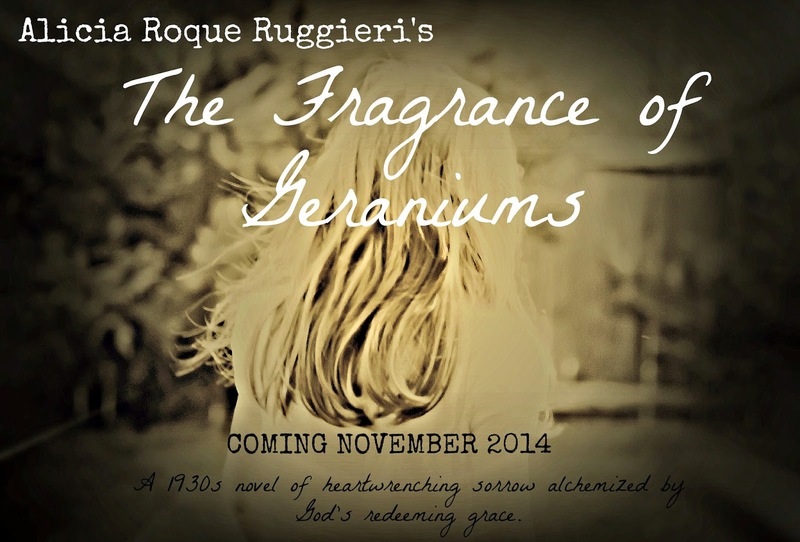 “The Fragrance of Geraniums” by Alicia G. Ruggieri Release and Giveaway! Today is the day! 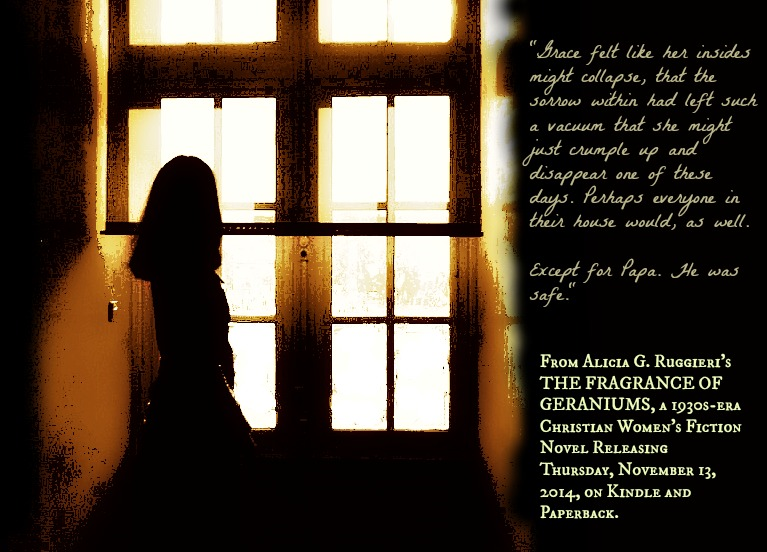 Alicia Roque Ruggieri’s book, “The Fragrance of Geraniums” releases to us blessed people! And she’s hosting a give-away in celebration of it – which I am so honoured to be sharing with you as well. Below you will find the cover of the book, the description, and last but not the least the rafflecoptor where you can enter to win your very own copy of this lovely book. I can’t wait to receive my copy and begin reading! 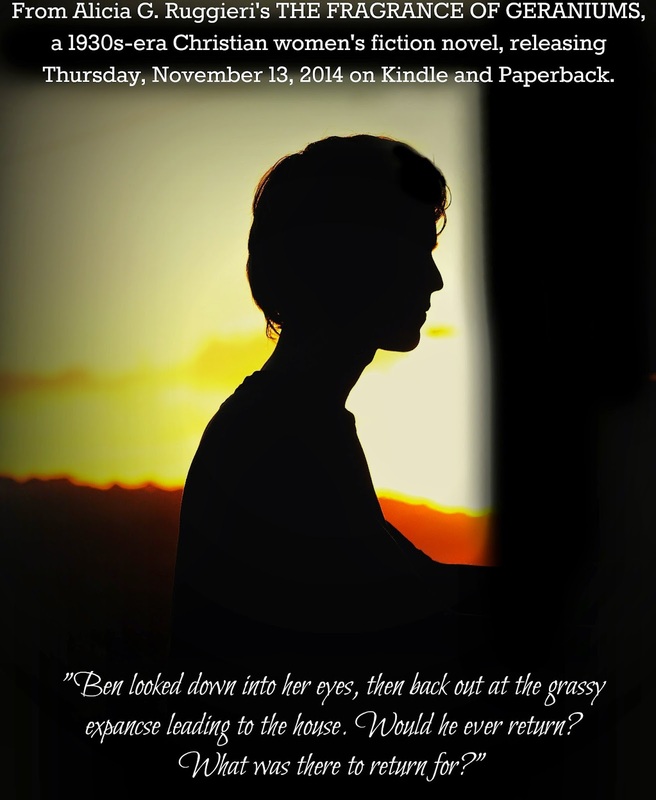 This give-away runs from now (11/13) till 11/26 and is on several blogs as we celebrate this lovely release! A fourth-generation New England native, Alicia G. Ruggieri writes stories about the possibility of redemption for all things through the Cross and the cost of true mercy. With a degree in Communications and History, Alicia loves spending her days researching, writing, and caring for her family, and she avows that every life would be enriched through the addition of just one more dog. I haven’t read any of Miss Dickerson’s books previously, though I wanted to, and so when I saw this book available to be reviewed, I jumped at the possibility. It was very good, and I will most definitely continue to read books by this author. “The Princess Spy” has a light, fairy-tale feel to it, without the magic, and most importantly, with faith as a big aspect, which I really liked. This is a book I would allow my younger sister (and future children of my own one day) to read at the right age. From what I gathered, this book was a sort of retelling of The Frog Prince. There wasn’t a whole lot that gave clues to that, but I also am not overly familiar with that fairy tale to begin with. The characters were fun, and likeable (except for the unlikeable ones – the bad ones! ), and reading about Margaretha and Colin’s journey was enjoyable. I liked the little boy they found later on, too – he added goodness to the tale as well. The only thing I would have liked is just a little more God-oriented moments. But really, for the most part, that was handled well. I would recommend this to anyone that enjoys a good fairy-tale retelling/feel, and enjoys a fun read! Thank you to the publishers for sending me a complimentary copy of this book in exchange for my honest review, which I have given. A new book coming soon…. If you’re interested in learning more about this book, go to this post. Katie Weldon wonders if she was crazy to spontaneously fly off to Africa on a mission trip. Suddenly she is dealing with a new culture, a world she’s never experienced—and Eli, a friend who is quickly becoming much more. It’s all overwhelming … and exciting. As her life turns topsy-turvy, however, she begins to think this might be exactly what she needs. Here, God might give her a glimpse into His will for her life. But just as Kenya and its people find a place in her heart, and her relationship with Eli begins to get serious, Katie is faced with unanswered questions from her past and unresolved issues with Eli. Is she really headed down the same path into the future he is? It doesn’t look like it. Why can’t she finally and forever settle into a set direction? Living in this new and captivating place, one thing she knows for sure: anything might be possible. There was just much that I did not care for in this book. 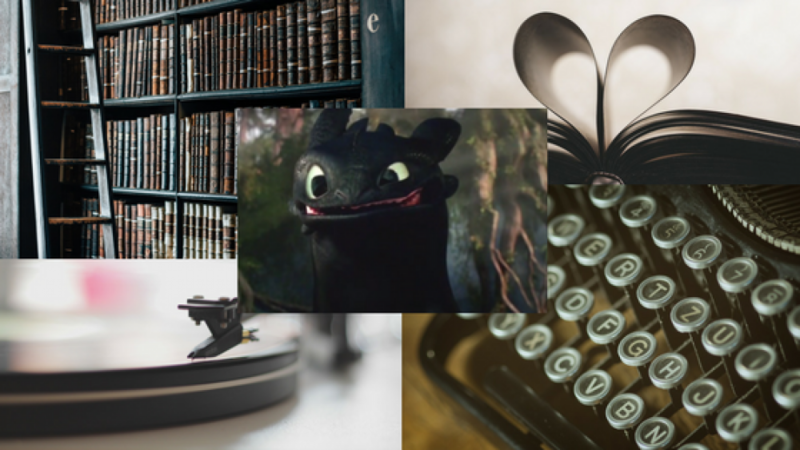 As the book progressed, I felt more and more that it wasn’t just ‘not my style’, it was starting to be the kind of book that could make others stumble. However, I will also keep in mind that God can use any book in any way He wants to touch the reader. There were good parts, but I also think there were incorrect lessons/information as well. 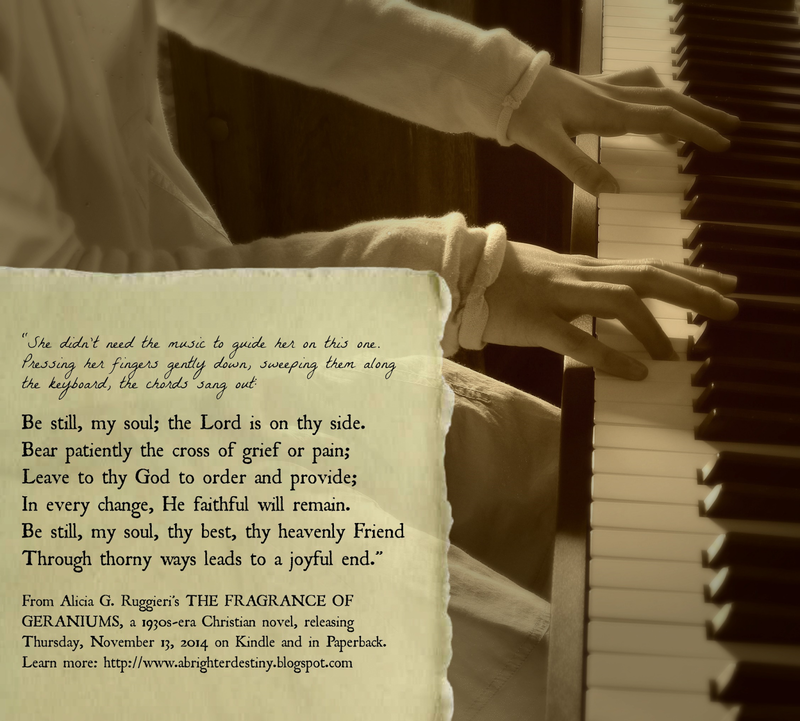 I liked that Katie (main character) learned to praise God in every situation – that really is so true, and a great lesson. However, I was really disappointed with how concerned she was that she couldn’t have what she wanted – she didn’t care that Eli didn’t want the same thing. The big impression I got from her was that she was head-strong, or, strong-willed, and seemed to only want what suited her (I even noticed this in the small things. For instance, Eli bought her a coffee with the last amount of money he had, and just asked for the last couple sips, since he couldn’t get his own – Katie not only didn’t seem to care that he bought her the coffee with the last of the money he had with him, but she didn’t want to give him the last sip because that’s the best part – I know it was said that they were teasing, but it is still little things like that that are noticeable), and another big part was that she didn’t want to compromise her dreams and wishes. I know she and Eli weren’t married, just a couple, but still, God calls us to serve. No matter what. To be selfless, and I didn’t see that change of heart in Katie, which made me sad. Also, ‘follow your heart’ was promoted in the book, which I disagree with. For “The heart is deceitful above all things, and desperately wicked: who can know it?” (Jeremiah 17:9). We must only follow God. He will guide us and lead us on the right path. He knows. And that is a comfort. I don’t have to know – because He already does, and He will show me. “Ask and you shall receive”. “If any of you lack wisdom, let him ask of God, that giveth to all men liberally, and upbraideth not; and it shall be given him.” I just really want to see that in books – see His ultimate control, and the characters growing in that. I liked the Africa being the ‘landscape’ and learning more a bit about that, and there were some good parts that will stay with me. And I am trying to think of Katie as just in the learning process. We all are in a learning process, just on different spots on the road. I encourage you to pray before, during and after this book to seek His truths on the matter. Upon finishing this book, I admit that I was really disappointed. But we also have to learn to take the good and toss out the bad – so that is what I have done. Or at least, what I am trying to do. :) Katie was flawed, just as we are, and maybe I just saw it more than I expected. I just wish we could have also experienced her healing more. Thank you the publishers for providing me with a review copy in exchange for my honest review which I have given.